Stripes are powerful. There is implied movement, as a staircase or a flow of water. Stripes draw the eye upwards as in a forest, or deeper, as in corrugation, or peripherally, as in land and seascapes. Stripes of many colors are cheerful, but if restricted to black and white, they become sad, agitating, and imprisoning. 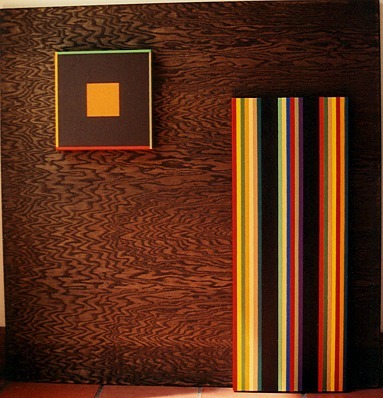 Stripes, juxtaposed perpendicularly or out of phase, can create depth. Stripes are typically narrow but can be mixed in width to produced varied effects. Bibel explores stripes in the paintings here. 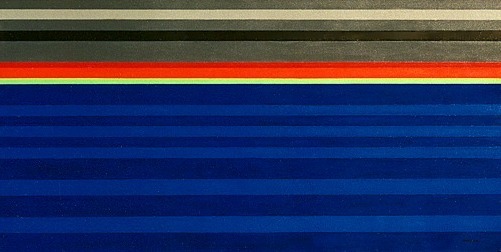 See also the Op series, which incorporates stripes. 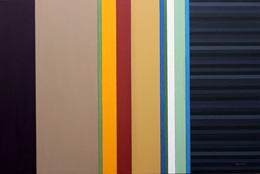 150 Miles East (2002), 24 × 36 in. 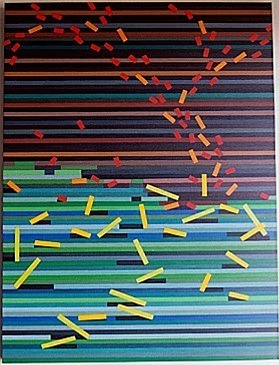 Fireflies (2003), 24 × 30 in. 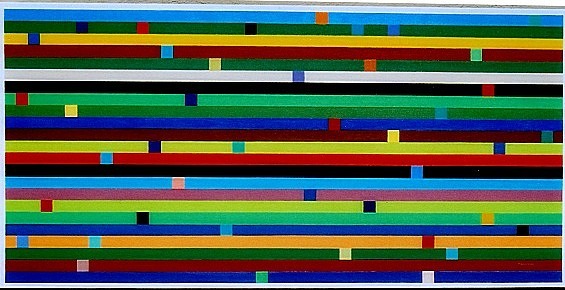 (2002), 30 × 40 in. 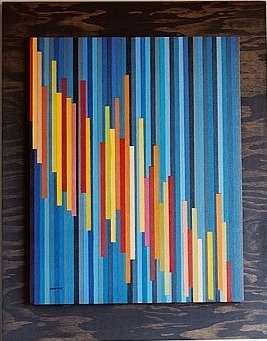 24 ×28 in. 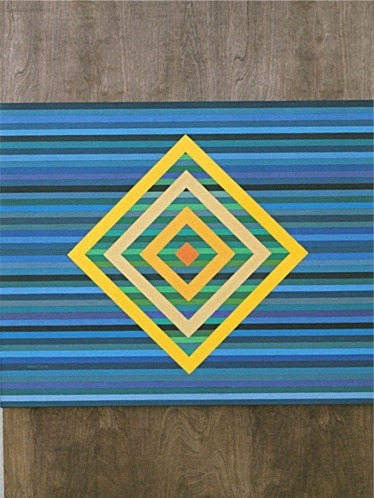 Plywood is part of the painting. Gobi 'Tween Us (2002), 48 × 24 in. 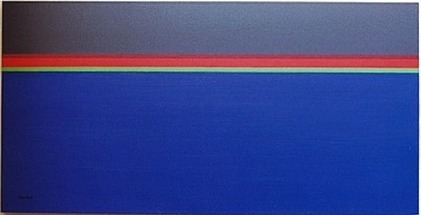 O Bay (2003), 48 × 24 in. 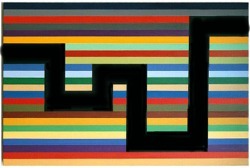 Legend (2002), 36 × 24 in. 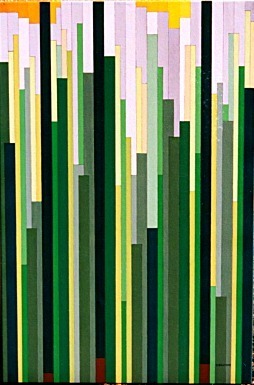 The Garden (2002), 30 × 42 in. Plywood is part of the painting. 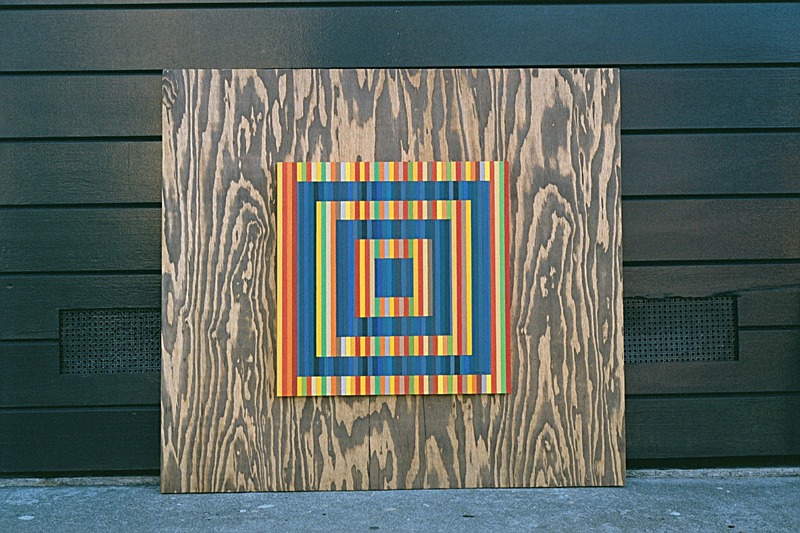 Religious Piece (2002), 48 × 43.5 in. Plywood is part of the painting. 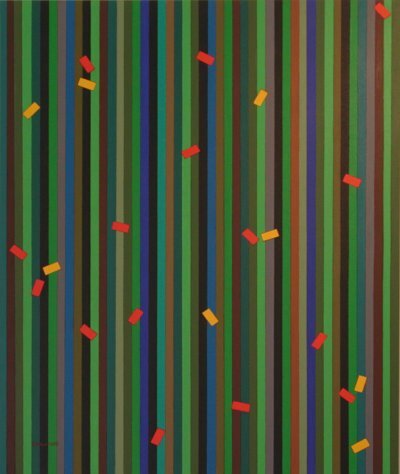 Turning Point (2002), 48 × 48 in. Plywood is part of the painting. 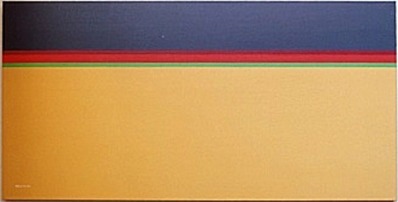 Voyage to a New Land (2003), 48 ×24 in. 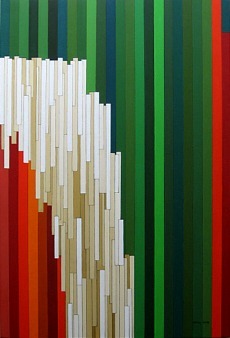 * Architexture (1999), 48 × 24 in. 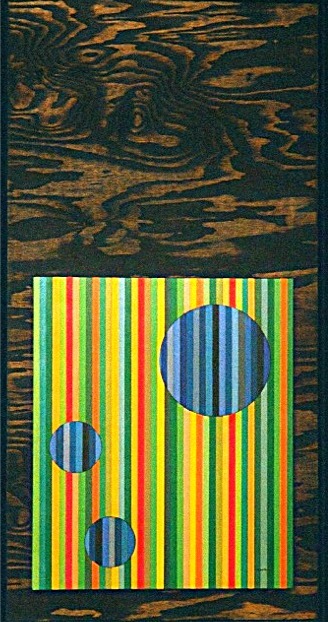 Orbit (2003), 36 × 24 in. 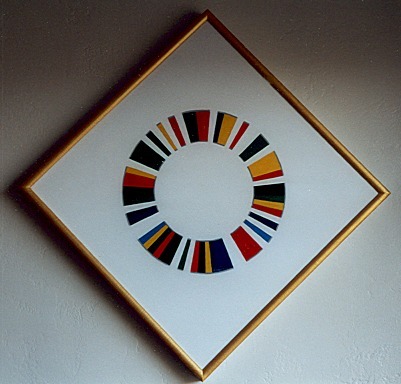 United Nations (1998), 28.3 × 28.3 in.